Beyoncé is back in Barcelona after almost five years with her new world tour “The Mrs. Carter Show World Tour 2014”. With this title, which refers to her married name, Beyoncé will be live in Barcelona on 24 March at Palau Sant Jordi, to present her songs in what will be the only concert in Spain. This European leg of the World tour will run for five weeks with a total of 16 concerts that will be held in Portugal, UK, Ireland, Holland, Belgium, Germany and, of course, Barcelona. 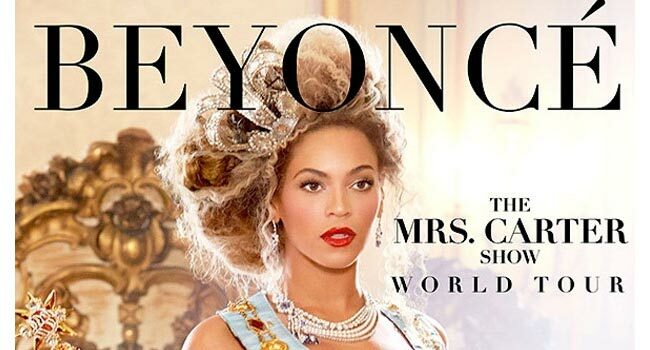 The European part of The Mrs. Carter Show World Tour began in Glasgow on February 20th and will end in Lisbon on March 27. The Barcelona concert will be the penultimate of Beyoncé’s concerts during this tour, and also the only concert held in Spain, which is probably why the tickets sold out only within hours the same day they went on sale. And it is probably also because Beyoncé’s fans know that the singer never disappoints in concert, always putting on a great show full of light, special effects, dances, outfits, energy and above all, sensuality and good music. So if you are some of those lucky ones who have tickets and are going to come to Barcelona for Beyoncé’s concert, you can stay at our low cost hotel in downtown Barcelona, the ideal base for visiting Barcelona from a privileged location on Passeig de Gràcia and just behind La Pedrera.